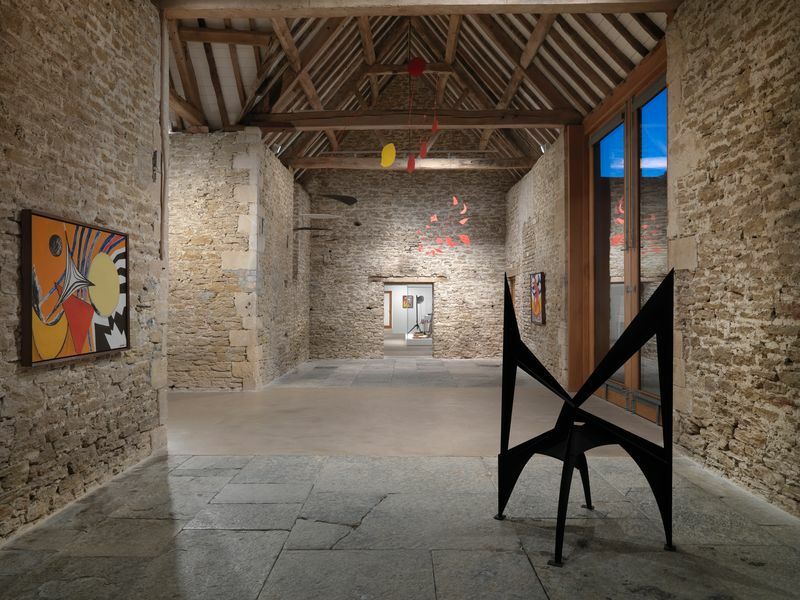 Alexander S. C. Rower, Calder Foundation president and grandson of the artist, introduces ‘From the Stony River to the Sky’, a major solo exhibition of works by Alexander Calder (1898 – 1976) on view at Hauser & Wirth Somerset through 9 September 2018. Alexander Calder’s direct and innovative approach runs through every aspect of his oeuvre, from the monumental to the intimate. Known primarily for his invention of the mobile, Calder created a prolific oeuvre that extended to wire sculpture, carved figures, stabiles, standing mobiles, oil paintings, works on paper, jewellery, furniture and domestic objects, and monumental public commissions across the globe.